BAKERSFIELD, CA — Kern County Agriculture Commissioner Ruben Arroyo is wary, but upbeat. 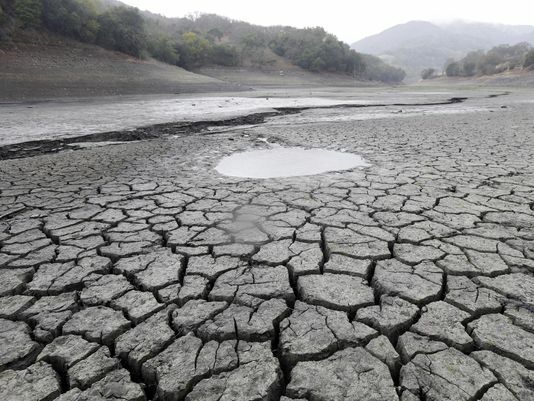 Arroyo was referring, of course, to the severity of California’s drought, declared by many, including Governor Jerry Brown, to be the worst drought the state has ever seen. The commissioner said the effects of water shortages on Kern County are so bad that farmers are making planting decisions based primarily on the amount of water they are able to receive from the water district. In addition to deciding which crops to grow, Arroyo said farmers now need to decide which crops to let die. Kern County, covering just over 8,000 square miles at the southern end of the Central Valley, is the number two agricultural producing county in the United States. According to figures provided by the commissioner’s office, in 2013, 839,000 acres of everything from fruit and nut crops to livestock and poultry products were harvested in Kern County, at a total value of $6.7 billion. That number is down from the 878,000 harvested acres in 2012. While the lack of rain throughout the state is certainly the most immediate factor affecting crop production, other forces have come to bear on the farmers of Kern County. Environmental regulations, groundwater drilling regulations, and minimal to zero water allocation all play a part in driving down production. However, production levels are not yet down to untenable levels. Larry Starrh, a fourth-generation farmer at Starrh and Starrh Farms in Shafter, says that could change if farmers can no longer adapt.